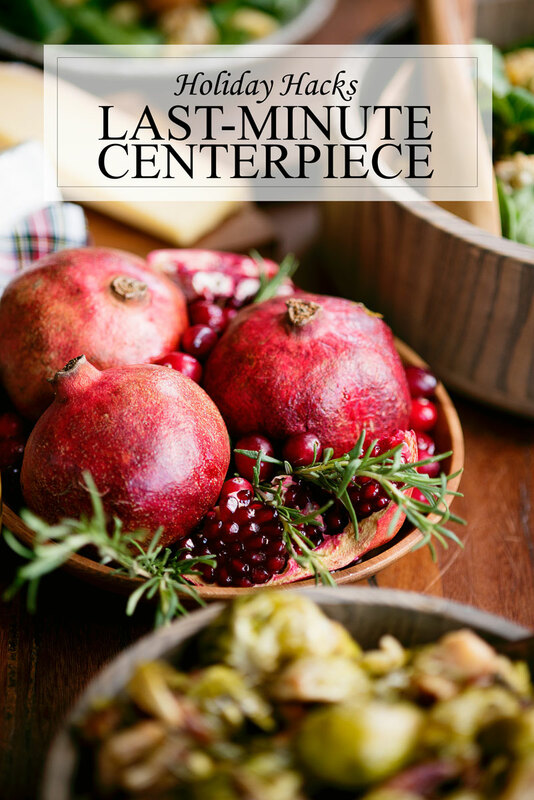 Here’s a great holiday hack – a last-minute holiday centerpiece with pomegranates and rosemary that takes just a few minutes to put together! When it comes to the holidays, I sometimes spend weeks thinking about the food. 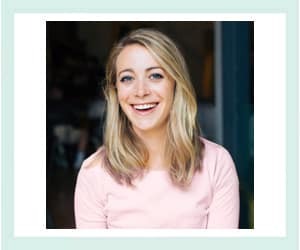 I spend hours listing possible dishes, scouring the internet, rewriting my list and grocery shopping. I love picking recipes that you can make in advance, so I even start cooking several days in advance! 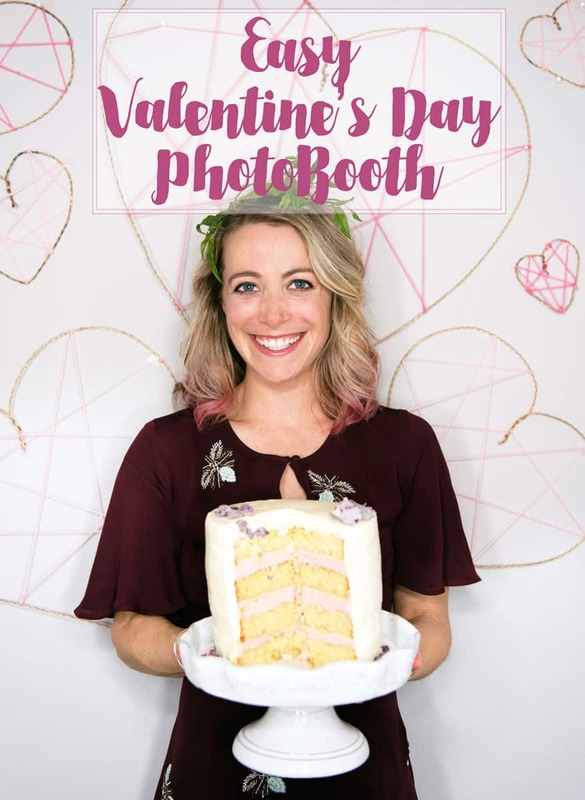 An easy DIY Geometric Heart Valentine’s Day Photobooth made with yarn and wire, plus FREE printable emoji photo booth props to download! Last weekend, I hosted a Galentine’s Day Fête for some of my girlfriends. I felt like we were long overdue for some quality time, so I got everyone together for a brunch at my place! With the current political climate, it felt even more timely to celebrate the friendships I’ve made here in San Francisco. Copper is the new gold! 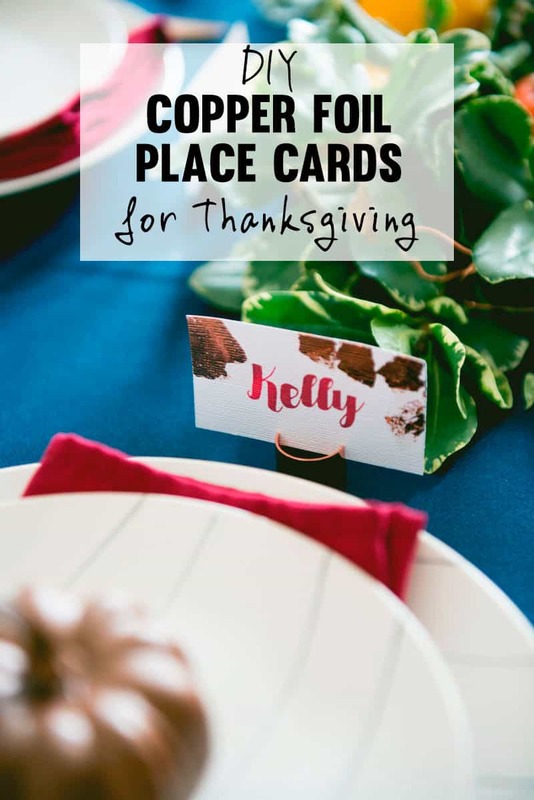 These copper foil place cards are easy to make and perfect to decorate your Thanksgiving or Christmas table this year. Copper is having a serious moment. It’s replaced gold as the favorite metallic for decor and styling. You can find everything from copper flatware to copper furniture. 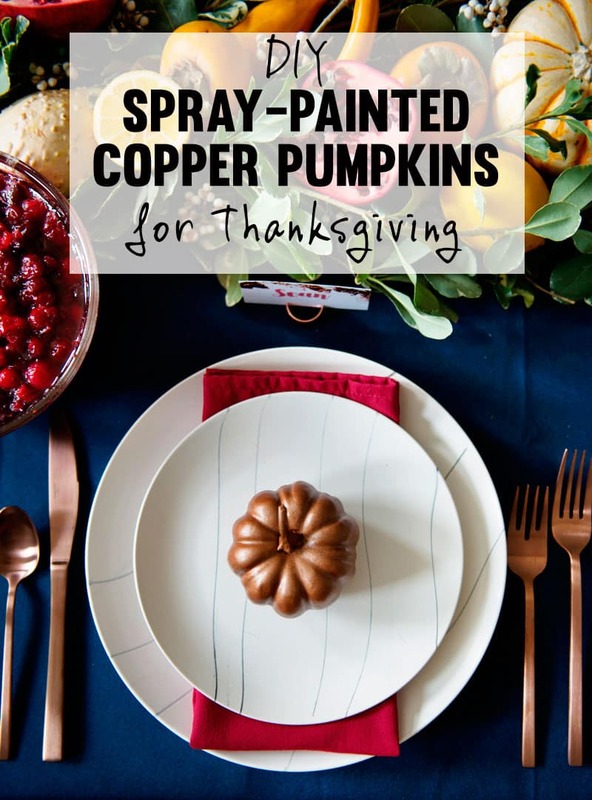 Copper spray painted pumpkin decorations are an easy and cheap DIY for your Thanksgiving table, but they still look so chic! If you’re like me, table decorations are all about getting the biggest ‘wow’ factor without spending a ton of time or money. To decorate our Friendsgiving table, I found mini fake foam pumpkins that I bought on Amazon. I was really impressed with how realistic they looked once they were spray painted. The nice thing is I’ll be able to use them again next year. 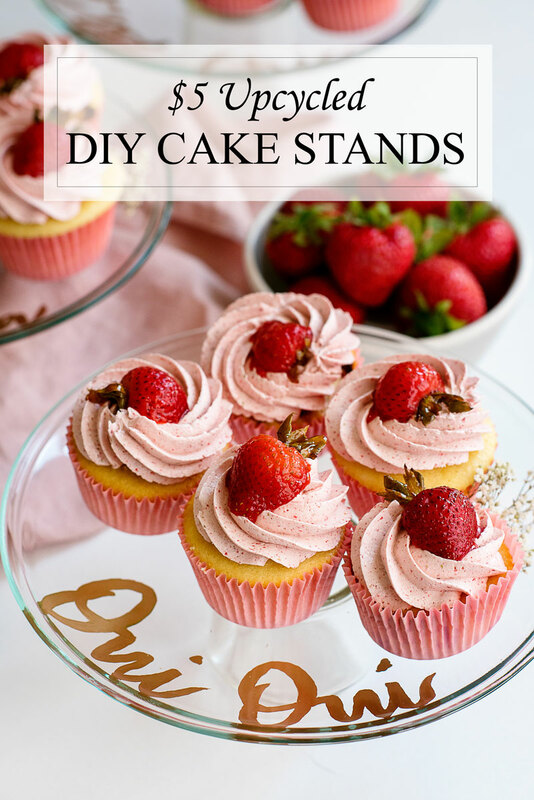 They look great as coffee table decorations, or on a entryway table or mantle. 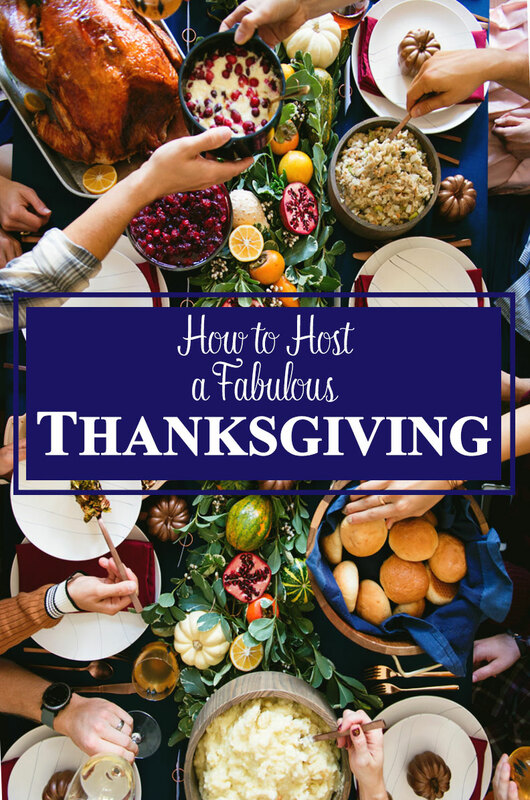 How to Host a Fabulous Friendsgiving – everything from a copper and navy table design to easy menu ideas, including a spicy cranberry cheese dip recipe!